Many online sites share packs, sets and individual FREE Adobe Lightroom Presets and I decided to make an ULTIMATE list with links pointing directly to these presets for you. There are a lot of good ones out there but also a lot that aren’t worth your time. I’ve done most of the hard work for you by sorting through them to discover the diamonds in the rough and brush aside those lumps of coal never to be seen again. Photographers use different Lightroom Presets for different genres and to make it easier for you I’ve separated the LR presets into these categories. For example if you are after some FREE Wedding/Portrait presets you can scroll down to the Wedding/Portrait category and see all the free links together in one list. Same with HDR, Landscape, Film and Night Photography. Plus there is a special category called mix and match where you can download a pack that will have presets from many different styles and preset genres. If you are like me you will want to try out a few different ones and remember if you want your photos to stand out from the crowd then be creative. These presets will get you halfway there and the rest is up to you! *Note- The links I’ve shared are to the FREE Lightroom Presets and often these sites are creative markets that are also selling packs of presets for real $, so just make sure the one’s you are downloading are the FREE ones I suggested. Before I begin the Ultimate FREE Lightroom preset list I wanted to share my Luke Zeme’s Premium Lightroom Preset Pack, which contains 50 of my favourite Lightroom and Camera RAW presets including 10 HDR, 10 Dramatic Landscapes, 10 Gradients, 10 Nostalgic as well as a set of 10 BONUS presets. You can checkout the Premium Presets using the button below all for the low price of $12.95. These are Premium presets that I have spent many weeks/months creating and will be a wonderful inspiration for your photography. SEE LUKE ZEMES 50 PREMIUM LIGHTROOM PRESETS! Since I personally have a softspot for and share a lot HDR photography we will begin with FREE HDR Lightroom presets. These are probably the most hard to find online probably because they are difficult to create compared to other genres. For example most HDR photos are made using special software and a series of images to extend the dynamic range of a single photo. A lot of websites share single HDR presets but I have tried to share the best packs and ones I really liked. You can also find some HDR presets within the large packs in the mix and match category further down. 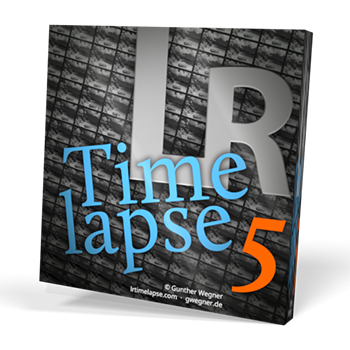 5 HDR Lightroom Presets from Loaded Landscapes – There are many HDR presets out there but these are some of the best quality FREE ones. There are only 5 free HDR ones but you may as well add them to your preset arsenal. Just enter your email and the downloads will be sent to you. 5 HDR presets by Photo Insomnia – To get your FREE HDR presets enter your email into the yellow boxed area on the page and a download link will be supplied. Heaps of FREE Presets at PresetPRO – There are so many FREE presets to choose from here from every category and style of preset you can think of. They come in small packs or singular presets, so scroll through and take a look for the ones that suit your style. 230 Free Lightroom Presets You Will Love – Thephotoargus has put together a giant list with links to 1 or a few FREE presets at each link. If you have the time then start downloading because these are great and there is a big variety in here. 100 Free Lightroom Presets (And How to Make Your Own) – Another huge list pointing to individual presets, this time over on the good folks at Envato. You can pick ones you want to download or get them all! 121 Best Free Lightroom Presets That You Will Fall in Love With – Another list format of 121 FREE presets put together by Envira Gallery and it has a lot of great presets in it, the downside is that you need to download each preset 1 at a time like the previous 2. 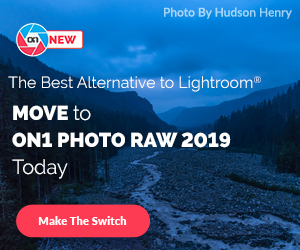 On1 Software FREE Lightroom Presets – On1 is know for it’s own photo editors like On1 Photo RAW and On1 Perfect Effects but they offered up their users a set of Free Lightroom Presets. Worth checking out since they are made by professional photography company. Top 50 Free Lightroom Presets – A list of 50 FREE presets on Speckyboy Design Magazine website from many styles of photography like HDR and Landscape presets. Each is a link to a single preset again so it’s going to take time to download them all but they are FREE so we can’t compain! Get 34 amazing FREE Lightroom presets to help you improve your photography – A mix of FREE presets all in one single download, just like and subscribe to Karl Taylors group and you can download all these presets FREE. Another 34 FREE Lightroom Presets – This is a variety of presets with a few supplied from each preset genre. They have a whopping 1.7million downloads and you can see why they are so popular. They have that magazine style and vintage look to them and would look great for instagram. The Starter Pack for Lightroom Pack – Sleeklens has one of the biggest markets on the web for Lightroom Presets but they also offer up this big pack for FREE! So jump on in get yours now. Photonify FREE Presets – You will find a nice selection of FREE presets here at this page on the Photonify website. Each preset needs to be downloaded individually but as you can see they are worth it. Photography Planet Presets – Another page that has individual presets for download and there are a nice selection to choose from. They are mostly film and cinematic presets here and if this is what you are interested in then you will find lots to download. Shutter Pulse Presets – A mix of free presets from a variety of styles, jump on in to get yours now. The Landscape section is a little thin but I didn’t just want to share presets that I didn’t feel were of a high quality. The first one on the list has to be one of the best links on this page and would be one that I highly recommend. David creates stunning presets for his followers and he supplies youtube videos on how to use them. Also check out his other sets as you can download 5 high quality preset sets for FREE from his site. A Stunning set of Landscape Presets – This beautiful set is a donative system so you can get them for free or select a donation amount. There is a nice video on the page teaching you how to use them and as well there are a few other sets for you to download that are donative too. Other sets are here. 15 Presets from Rock Shutter – These work well on Landscape and cityscape images, but they will also be great to create that cinematic look and feel. This FREE set is valued at $39 so you’d be crazy not to get them! 20 Free Landscape presets from Creative Tacos – To download yours scroll down to the blue bar/button with Download and a number in the middle of it, it will take about 10 seconds as you are directed to a new page and your FREE preset download will begin. A nice set to use on those photos you took whilst out hiking in the woods or use them on sunset images. I feel that Wedding and Portrait presets often work well when used on both types of images so I have grouped them into 1 list. They often have a nostalgic film style or a vintage look and I’ve shared only the best links below, but I found so many available online. Remember these are all links to FREE presets so you don’t have to buy anything you don’t want to as these sites are markets as well. Free Lightroom Presets – 15 Must Have Lightroom Presets! – This set of FREE presets is actually pretty good and has a nice variety for wedding/portrait scenarios. 10 Free Lightroom Presets exclusively from Greater Than Gatsby – This is a beautiful little set to apply to Wedding Photographs and they’re high quality presets. To get yours simply sign up to an account free and you will be sent your lightroom presets to download. Enjoy 3 free lightroom presets from Pretty Presets – These presets will work beautifully on children, family, boudoir, engagement and wedding sessions. There are only 3 presets but I liked these ones and thought they were worth sharing with you all. Here are 30 FREE Portrait presets – These are from Creative Tacos who have offered up 30, yes 30 free portrait presets! To download yours make sure you scroll down to the bottom and click on the BIG BLUE button with download written in the centre. These presets have that washed out classic look and could be used on Wedding as well as fashion photography as well. The film category of Lightroom presets are often the more creative presets. They can be Black and White, monochromatic, washed out or even have a film grain to them. I scoured the net to bring the best quality FREE presets and I think you will love them too. The Quantum Collection, Free Presets – To get this set for FREE simply add it to your cart and then select the amount of $0.00 to pay, obviously if you would like to support the photographer you can select amount you think they are worth. They are mostly film and cinematic presets as well as some monochromatic ones for good measure. If you download any presets on this page make it these ones as they are awesome! 10 Free Lightroom Presets Inspired by VSCO Cam – These are very high quality reproductions of presets from a wonderful app called VSCO Cam. I have many of the VSCO presets on my iphone app but it’s great to get this set for your professional photos on your MAC/PC Lightroom version. 34 Be ART FREE Lightroom Preset Pack – These are a mixture of Film, Wedding, Vintage and Portrait and are all free if you sign up to their newsletter and like their facebook page, pretty easy! Set of 4 Cool Breeze Cinematic free Lightroom Presets – These are quite nice actually and look great when applied on your images, it’s a set of 4 FREE presets from the guys and girls over at Creative Nerds. Contrastly 25 Free Presets – These 25 FREE presets are film and cinematic styled presets. To get them all you need to do is sign up to their newsletter at the link provided. A FREE Preset Series from Christian Anderl – Each of these presets are very different and dramatic in their own way, a good little set to get for FREE I thought. The DZ Series of Presets – A FREE set of 23 presets which have that cinematic desert look to them, worth downloading for the creatives out there. Astrophotography is photographing the stars! and it often requires specially designed presets because we are pushing our cameras to the limit when taking photographs in such low light. You can often get away with major colour changes and contrast with these kinds of edits and the packs I shared below are very good at doing that. The first link I shared comes with some great video material explaining how to use his presets and I suggest that you watch them to see the full potential of his presets. 2 Free pack of Astrophotography Presets – These 2 packs are extremely high quality sets for your photographs of the night sky which includes some effects and enhancements, check out the videos on the page to see how they work and what they are capable of. With the adjustments they can do a little more than a simple click of a preset. The presets are donative action so you can choose to get them for free if you want, or make a donation and pay the artist what you think they are worth – $20, $50 etc. There are 5 Lightroom preset packs to choose from – Nightscape Presets, Advanced Nightscape Presets, Landscape Presets, Tonality and Fujifilm presets. So Enjoy! Film Speck One: 102 Free Lightroom Presets for Earthlings – This pack comes from the creative minds behind the Quantum collection and are available in a pay as you want format.. $0.00 if you want or you can pay an amount you feel that they are worth. Perhaps you might like to download them for FREE and then judge their value and come back and pay that way. There are many great presets in here and it really is a premium collection for editing your star shots of the night sky and they have the ability to take your photos to the next level. Another must have in terms of FREE Preset Packs! If you found this helpful and would like to share it with everyone else, perhaps on your facebook feed or twitter, hit the share/like buttons at the top of the page, there is every social media platform you can think if you click the GREEN more button. Thanks for including the HDR presets from LoadedLandscapes.com! I’m glad you like them.